It may be her final Melbourne festival, but artistic director Josephine Ridge isn’t pulling any punches. On Tuesday the outgoing artistic director unveiled her third and final lineup of performances and events for October. With an emphasis on art and politics, as well as cross-collaborations between genres and the independent sector, it carries a strong message for the federal arts minister, George Brandis, and his proposed funding cuts. Ridge says these themes reflected many of her “preoccupations” during her three-year tenure. Ridge says the Melbourne festival in particular encourages the discussion of ideas. “We can really draw on the intellectual themes in the festival, in an inclusive, not an alienating way, ” she says. “1984 draws a lot of those more political themes out and the way that artists can really provoke discussion about issues that matter, ” Ridge says. Similarly, Desdemona, a reimagining of Shakespeare’s Othello with the focus on Desdemona and her African maid Barbary, by acclaimed US theatre director Peter Sellars and Nobel laureate Toni Morrison, has strong messages about women and indigeneity. Sellars will be in Australia for the production and to take part in related workshops and forums. Many of the festival’s recent co-commissions will also be showcased in the October program. 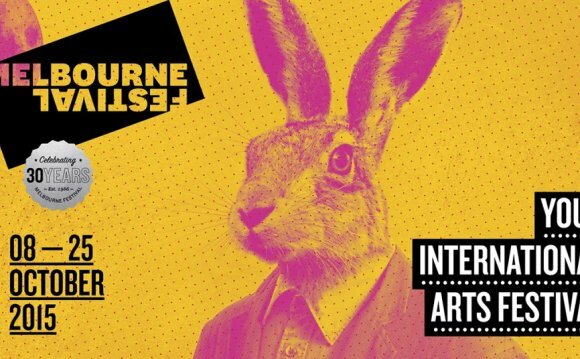 Melbourne audiences will be treated to the Helpmann award-winning production The Rabbits, which premiered at the Perth festival in January and was a collaboration between the two festivals as well as Opera Australia and Barking Gecko theatre company. Kate Mulvany’s Masquerade, which opened at the Sydney festival in January, will receive its Melbourne premiere. The production is a collaboration between Melbourne and Sydney festivals, Griffin theatre and the State Theatre of South Australia. Fly Away Peter, Sydney Chamber Opera’s adaptation of David Malouf’s Anzac novel, which recently premiered at Sydney’s Carriageworks, will be another highlight of the festival’s extensive stage program. The Melbourne festival will present works from New York’s acclaimed Performance Space 122 (PS122), including Bronx Gothic and Youarenowhere; a retrospective marking the 10th anniversary of Melbourne’s Art House theatre; and the world premiere of The Bacchae from theatre director Adena Jacobs’ company Fraught Outfit. This year’s dance program will be led by two works from Israel’s Batsheva Dance Company, back in Melbourne for the first time in eight years. Artistic director Ohad Naharin created Decadance, an evolving compilation of snippets of the company’s works, while Ridge describes their newest piece, Last Work, as “extraordinary”. “As with all [Naharin’s] work, there are political undertones and this finishes with, I think, some provocative open-ended questions, ” she says. Also within the dance program, Melbourne-based choreographer Antony Hamilton – the man Ridge calls “one of the most exciting emerging choreographers in Australia today” – will launch the world premiere of Nyx at Meat Market. Arguably the highlight of the festival’s bumper music program will be Patti Smith’s Horses, a musical tribute to the US singer’s seminal 1975 album. Australian singers Courtney Barnett, Gareth Liddiard, Adalita and Jen Cloher will perform the album live.